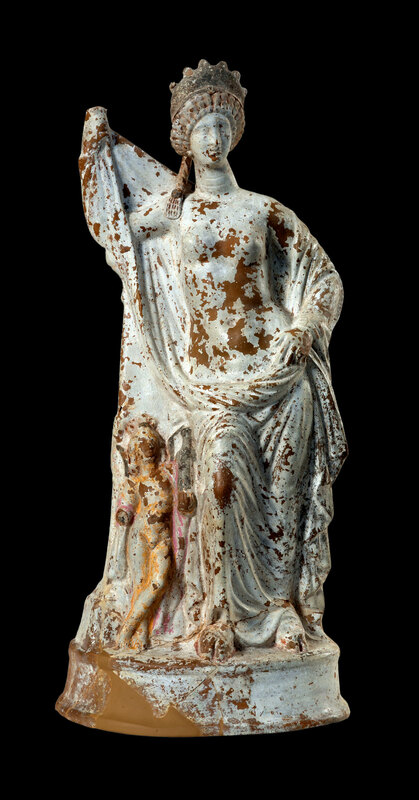 Clay statuette of the goddess Aphrodite (2nd/1st c. BC) © NAM/ ARF (Photo: S. Mavrommatis). 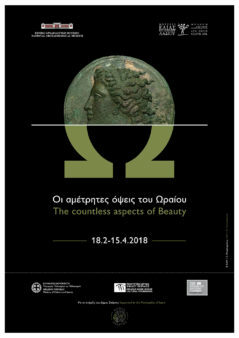 The exhibition “The countless aspects of Beauty” is to be opened by the President of the Republic Prokopios Pavlopoulos on Saturday, February 17, at 12.00 at the Museum of the Olive and Greek Olive Oil in Sparta. 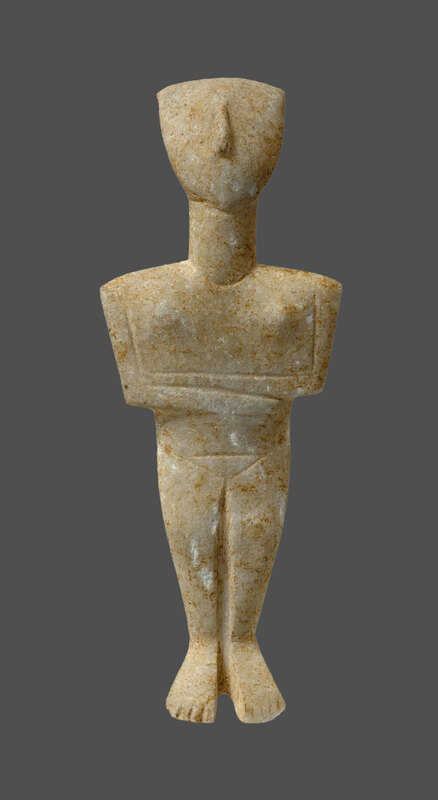 It is the first stop of the National Archaeological Museum’s travelling exhibition which will then move to the Silversmithing Museum in Ioannina and the Museum of Marble Crafts on Tinos, all belonging to the Museum Network of the Piraeus Bank Group Cultural Foundation. 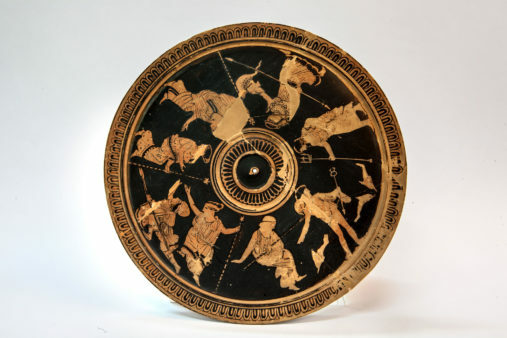 The travelling exhibition follows the rationale of the big temporary exhibition by the same name which is to be opened in May at the National Archaeological Museum. 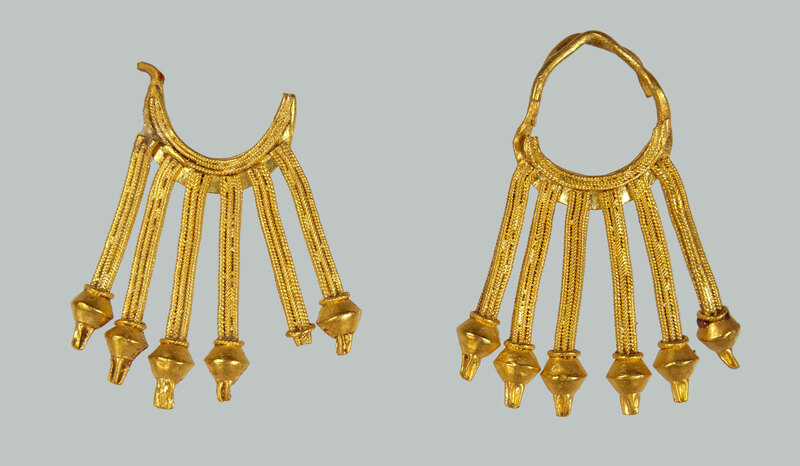 The exhibition “The countless aspects of Beauty”, aims to record humankind’s continuous quest for Beauty over the centuries and its incorporation into daily life, by depicting it in art works, cosmetic artefacts and everyday utensils. During the two year collaboration between the National Archaeological Museum (NAM) and the Piraeus Bank Group Cultural Foundation (PBGCF) 40 antiquities were selected from the NAM’s collections dating from prehistoric to Roman times, several of which are being exhibited to the public for the first time and constitute brief comments on and references to some of the aspects of Beauty. The criterion for their selection was based on the themes of the museums of the PBGCF which will host the travelling exhibition. 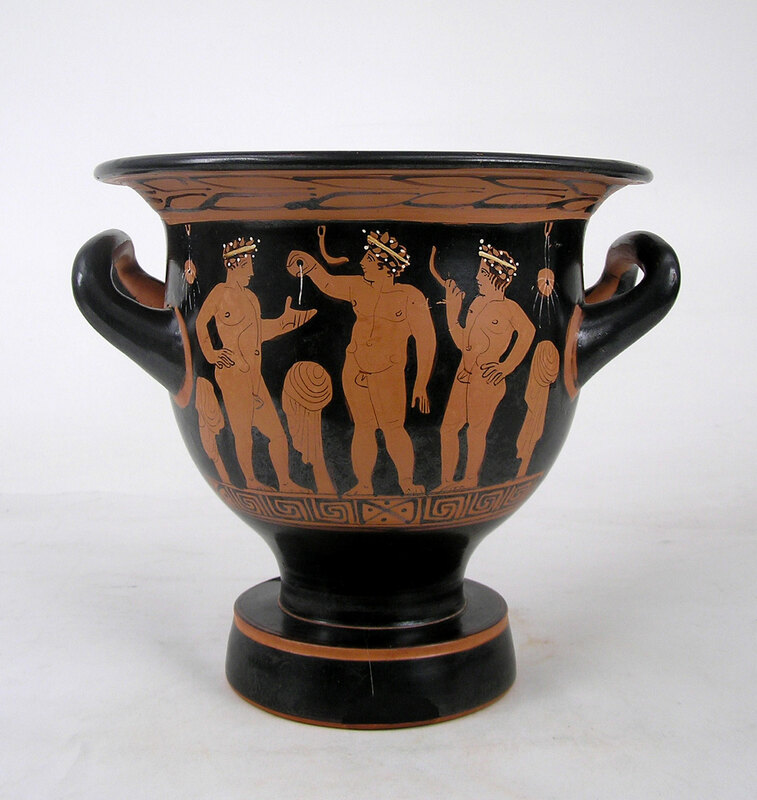 So, in Sparta, oils and perfumes will be displayed that were used to embellish the body, in Ioannina the intricate pieces of jewellery are to be the main exhibits, while the marble works of Cycladic culture will be highlighted in Tinos. Having been welcomed on their arrival by the goddess Aphrodite flanked by winged cupids, the exhibition’s visitors will walk round the sections with the Cycladic figurines, gold jewellery and ceramics and then be introduced to recipes of perfumers from antiquity. 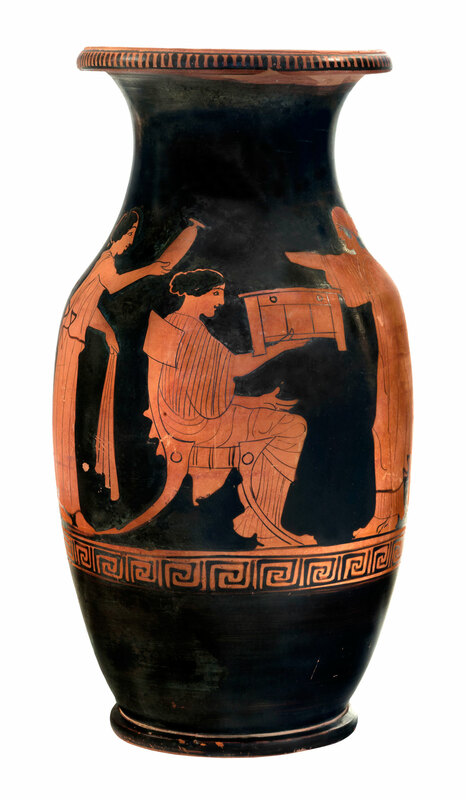 A special place in the exhibition at Sparta is occupied by the tablet in Linear B script with the ideogram for oil, Mycenaean stirrup amphorae as well as vases depicting the beauty of gods and mortals, used to store perfumes and aromatic oils. Special labelling in the permanent exhibition of the Museum of the Olive and Greek Olive Oil contributes to the visitor’s understanding the connections of meaning between the NAM’s antiquities and the Museum’s permanent exhibition. The ultimate aim of the collaboration between the NAM and the PBGCF is for these regional exhibitions to act as “satellites” of the country’s first museum, enabling local communities to enjoy works that are evidence of ancient Greek culture from unique collections of the National Archaeological Museum. 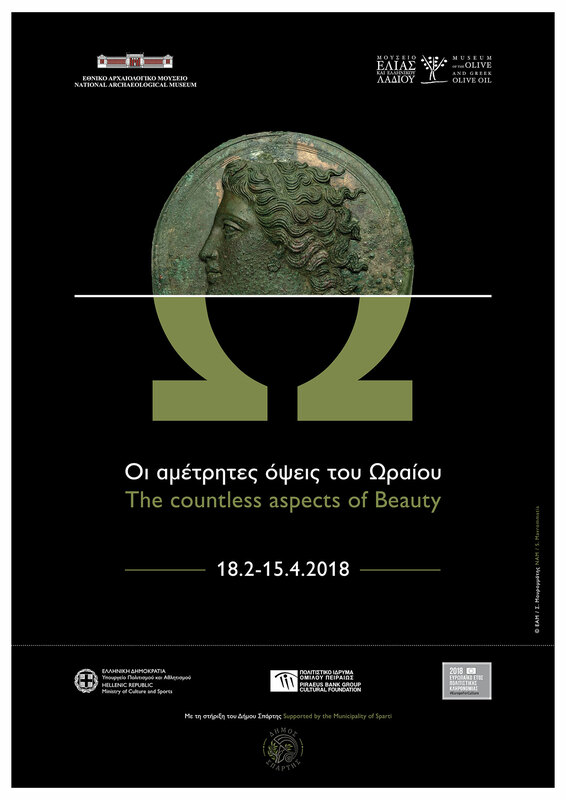 The travelling exhibition “The countless aspects of Beauty” is part of the activities of the European Year of Cultural Heritage 2018. Exhibition duration: February 18 to April 15, 2018.